Like we needed another reason to love ice cream. We usually eat ice cream to beat the heat, combat a sore throat, and nurse a broken heart, but thanks to South Korea, you can now add, “cure a hangover” to that list! Reuters reports that a chain of convenience stores has launched a special grapefruit-flavored ice cream that’s made up of raisin tree fruit juice, which is a traditional hangover remedy. The ice cream bar is called Gyeondyo-bar. Loosely translated, it means, “hang in there.” How fitting! Drinking, especially after work, is a large part of Korean culture. According to Reuters, hangover cures “generate roughly $126 million dollars in annual sales.” In fact, “hangover soup” is a staple in a lot of the local restaurants in South Korea. Consider us impressed. 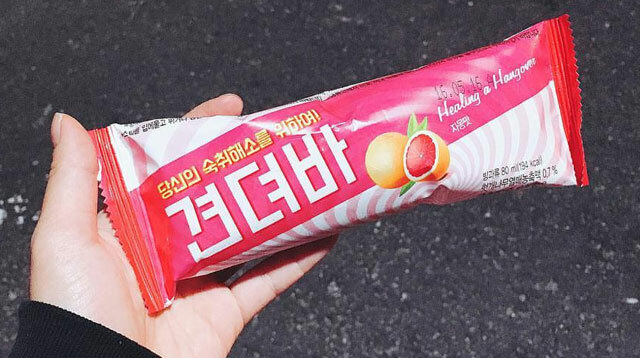 Here’s hoping that Gyeondyo-bar makes its way to the Philippines!